In 1967, Otis Redding was riding an artistic and commercial high. His show-stopping performance at the Monterey Pop Festival – backed by Booker T. & the MG’s – defined him as a singer and showman to be reckoned with and introduced him to more mainstream pop and rock audiences. Earlier that year he released King & Queen, an album of duets with Carla Thomas, as well as a fiery live album, Live in Europe, recorded at the Olympia Theatre in Paris. Near the end of that busy year, he recorded – among other songs – one of his most beloved singles, “(Sittin’ on) The Dock of the Bay”, at Stax Studios in Memphis, Tennessee. Days later, his life was cut short when he died in a plane crash on December 10. Otis Redding was 26 years old. It goes without saying that Redding had plenty more music to give the world. The sessions that yielded “(Sittin’ on) The Dock of the Bay” included a total of 12 songs that ran the gamut from soulful ballads to sturdy funk rockers to traditional gospel. Who knows what else he could have come up with into his 30s, 40s and beyond. The songs recorded during these sessions all eventually made their way into the world as singles and fodder for countless compilations and boxed sets (including the title track, which was a posthumous single that reached #1 on the pop and R&B; charts the following year). As a result, Rhino’s latest Otis Redding album, Dock of the Bay Sessions, offers no unreleased music and certainly no hard-to-find soul nuggets for die-hards (nor does it claim to). Instead, the 12-track single album – available on CD, 180-gram vinyl, or digital download – is a glimpse of what might have been Redding’s next album had he survived into 1968 and beyond. By that measure alone, Dock of the Bay Sessions is a worthy addition to any classic soul fan’s collection. The album works amazingly well as a concise snapshot of late 1967 Otis Redding. Not only was he an accomplished vocalist – grittier than Sam Cooke but without most of Wilson Pickett’s macho bravado – but the songs, many co-written by ace session guitarist Steve Cropper – fit into a variety of styles that never sound forced. 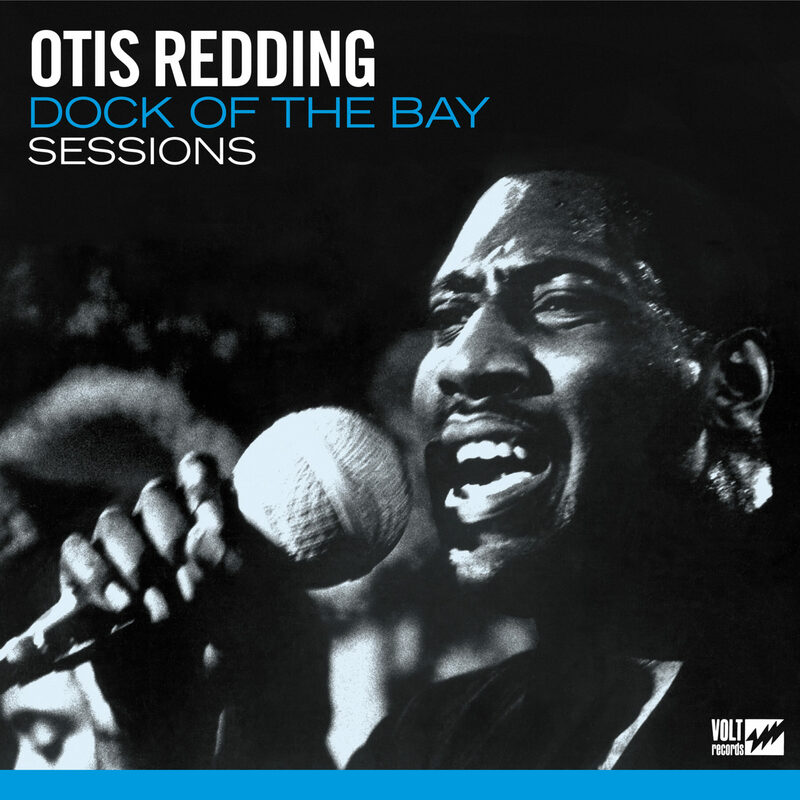 The title track, which opens Dock of the Bay Sessions, shows a constantly maturing Redding tempering his soul groove with a gentle, almost folk-like demeanor. Cropper’s guitar leads mesh beautifully with Redding’s voice and the sound effects of seagulls and water lapping up on the shore become a natural element of the song and never gimmicky. Redding is in a reflective, almost Zen-like mood (“Watching the ships roll in / And then I watch ’em roll away again”) but aware of his struggles (“I can’t do what ten people tell me to do”). As a ubiquitous soul classic, it’s easy to take it for granted. From a songwriting and performing perspective, it’s deeper and more layered than nearly all its contemporaries. Anyone who’s heard earlier Redding classics like “Pain in My Heart” and “I’ve Been Loving You Too Long” knows that Redding excels at heart-tugging ballads, and Dock of the Bay Sessions provides some fantastic examples of the genre. “I’ve Got Dreams to Remember” (co-written by Redding’s wife Zelma, based on a poem she wrote) is one of the most emotionally anguished three minutes Redding ever committed to tape. “I know you said he was just a friend,” he sings through the tears, “But I saw him kiss you again and again.” Backup vocalists and Booker T. Jones’ simmering Hammond organ help push the song into an even more emotionally rich territory. “Gone Again” is one of Redding’s lesser-known ballads, but is certainly no less effective. Devastated by a breakup, Redding’s world is shattered. “I walked in the forest,” he sings, “Didn’t see no trees / Go to sleep at night / With a cold wind of breeze.” The horns pack an additional punch as if underscoring Redding’s heartbreak. Equally adept at both energetic funk and heart-on-sleeve slow jams, Redding finds a happy medium somewhere between the two on songs like “Direct Me”, a gritty mid-tempo track featuring some of Cropper’s best guitar work and an overall atmosphere that seems to predict mid-’70s era Stevie Wonder. The sunny shuffle “I’m a Changed Man” shows Redding basking in the glow of love with plenty of trademark Otis riffing and even some good-natured scatting. Redding gets back to his gospel roots in the closing number, a priceless take on the classic “Amen,” as if to remind the world that he can tackle any style with effortless grace. These sessions can sometimes be a difficult listen when you realize that Redding was less than a month away from his untimely passing when the songs were recorded. Like Sam Cooke – an artist to whom he was often compared – Otis Redding died way too soon with a seemingly unlimited reservoir of talent and skill. Dock of the Bay Sessions may not reveal anything new in the Redding catalog, and it’s hardly a comprehensive career overview, but it’s a warm reminder of his ample talents and a collection of songs that deserves to be in everyone’s collection.